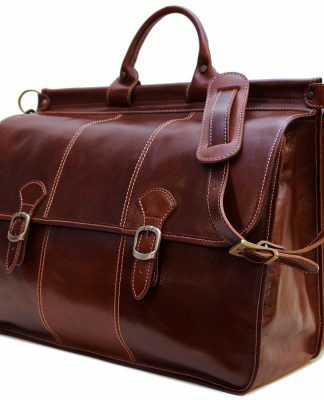 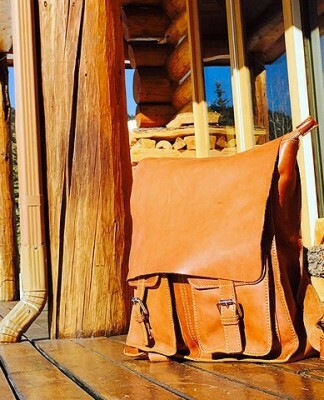 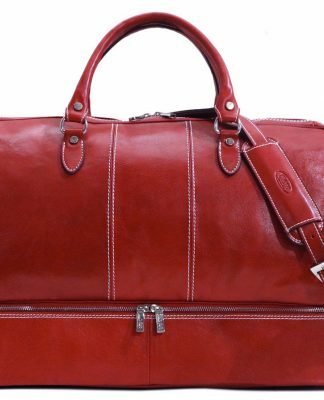 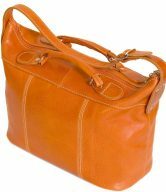 All of our bags are designed with the customers’ needs and wants in mind and they’re executed with meticulous workmanship, with the goal being to provide the best-looking and most functional Italian leather bags possible. 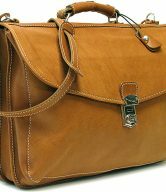 The Novella Briefcase Shoulder Bag is no different. 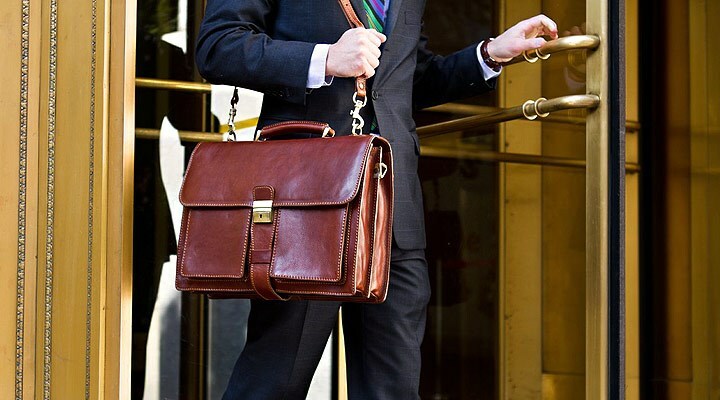 Introducing a sleek, refined option for today’s professional, the Novella Brief Bag is styled to provide the look of power in the business world. 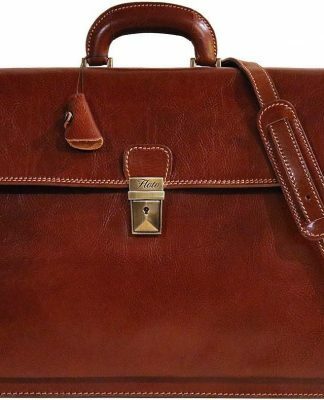 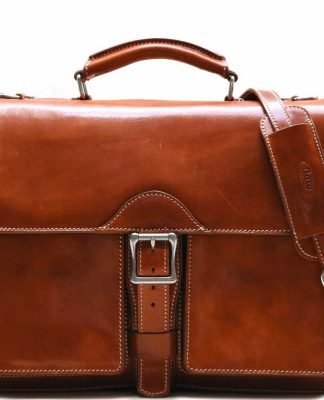 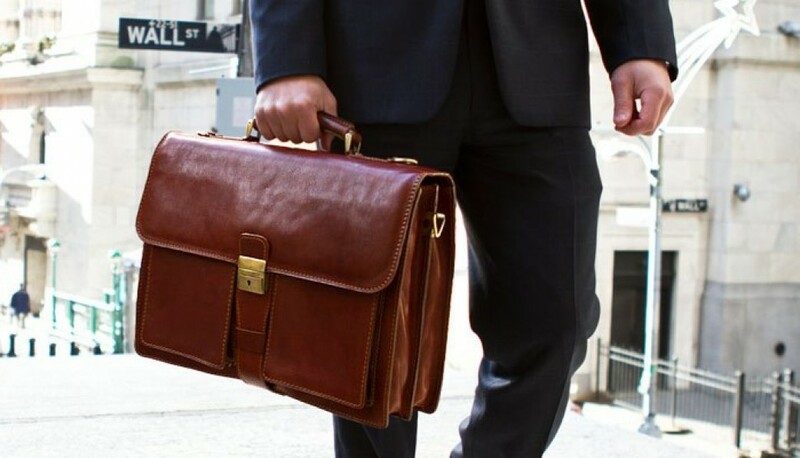 Well-crafted of soft, high-quality Italian calf-skin leather, the Novella Italian Leather Briefcase Bag is the definitive and essential briefcase for the prepared business commuter, in town and on the road. 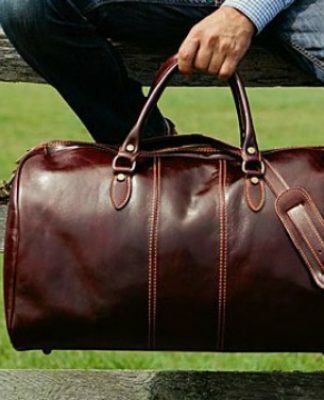 It offers plenty of space to carry a boatload of essentials for the day, while the leather exterior will develop a rich character with time and age. 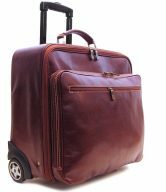 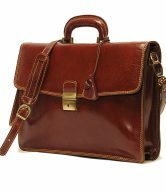 It features sturdy seams and brass hardware and its spacious interior is designed to hold a 15″ laptop, tablet, legal-sized files, a newspaper, a large book and small personal items, and the zippered large outside pocket provides additional space for small accessories. 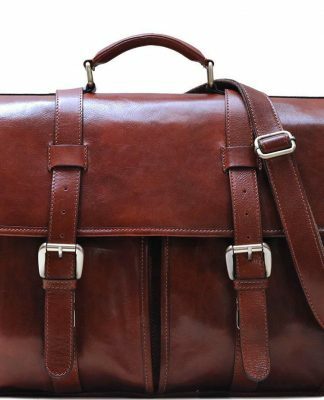 When you fly, there’s no need to check-in this compact bag. 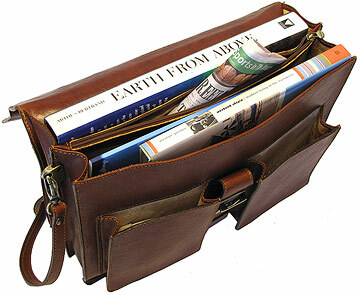 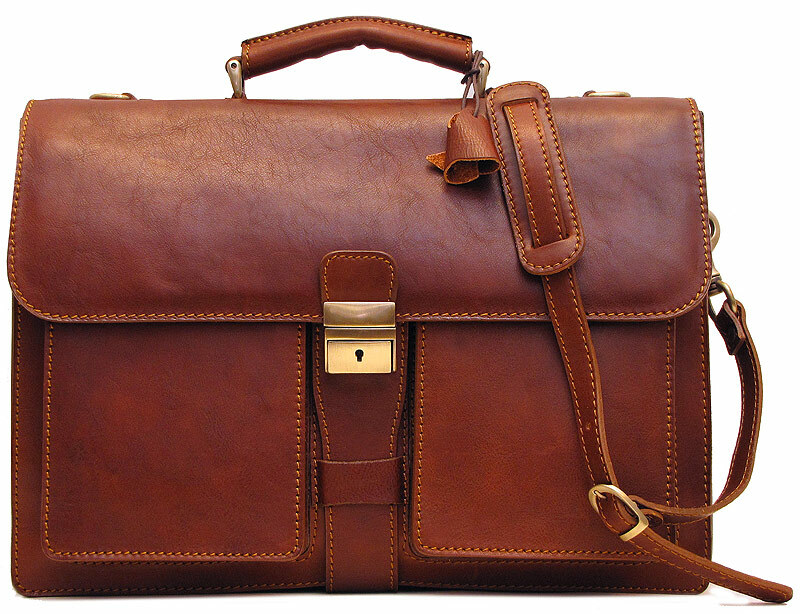 Bring this leather briefcase shoulder bag onboard with you — it will fit in the overhead compartment or under the seat. 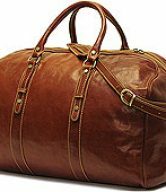 Already roomy enough with two separate compartments, an inside zip compartment, a pen and cellphone holder, two outside gusset pockets, and a zip pocket, it can also be useful as an overnight bag. 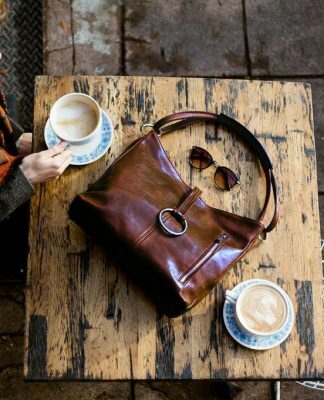 The detachable shoulder strap allows you to throw your bag over your head and shoulder and let the bag hang at your side. 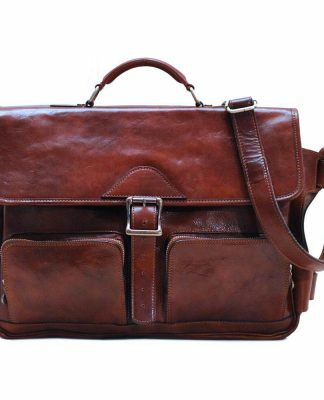 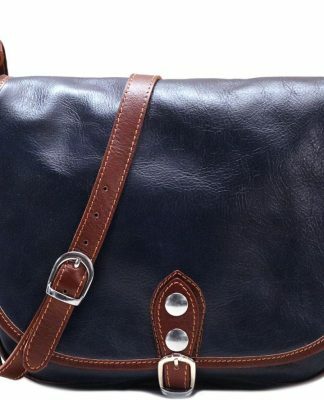 Men’s Leather Handbags (Manbags) – Is It Manly To Carry Them?